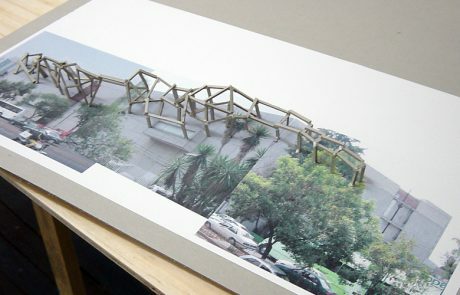 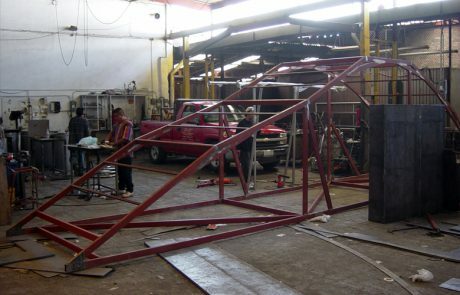 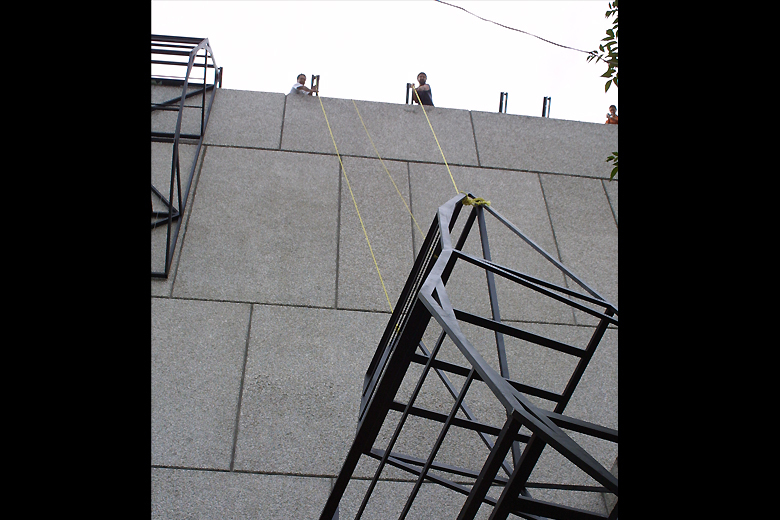 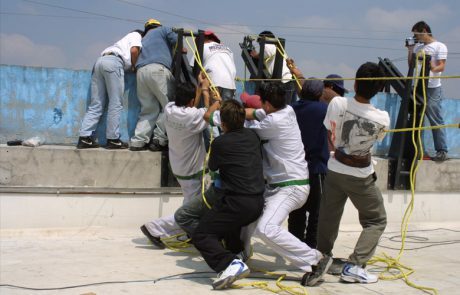 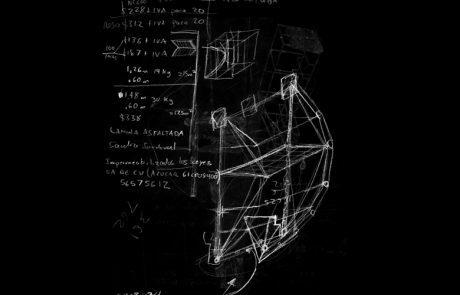 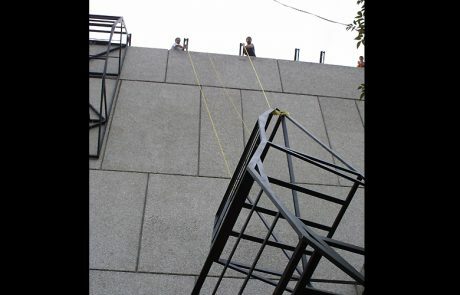 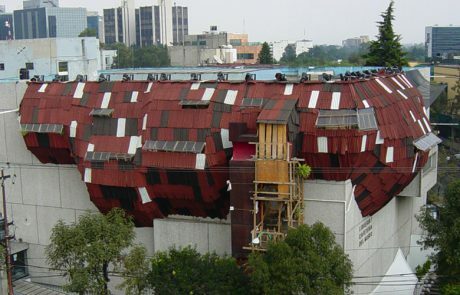 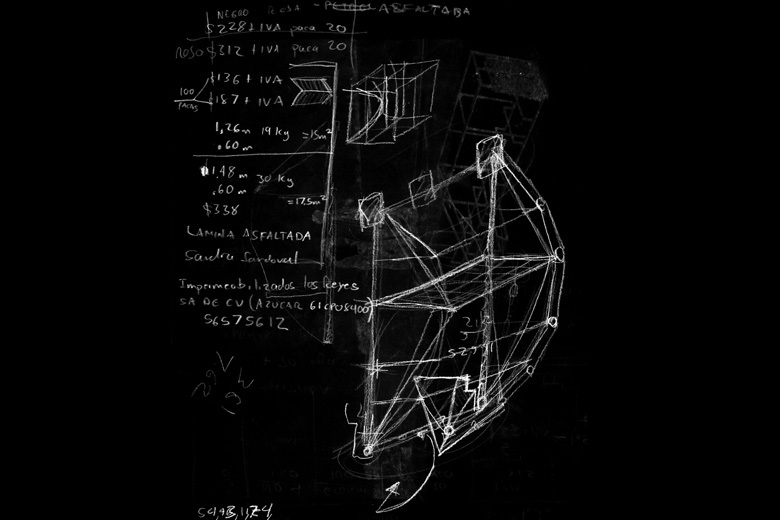 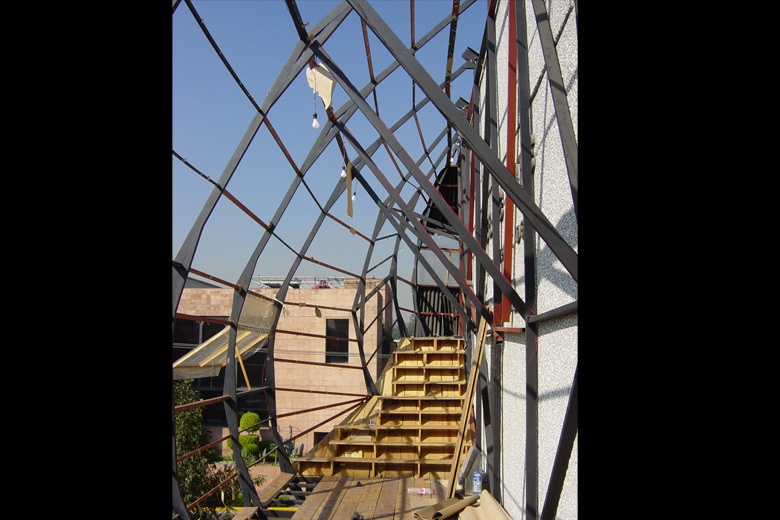 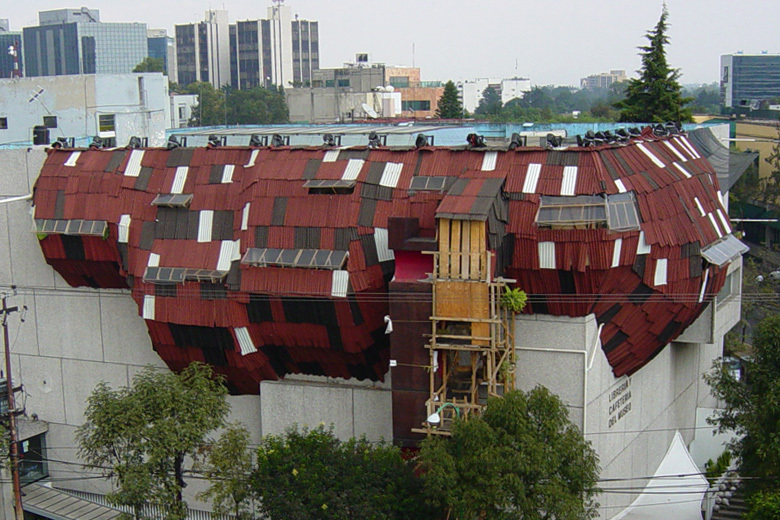 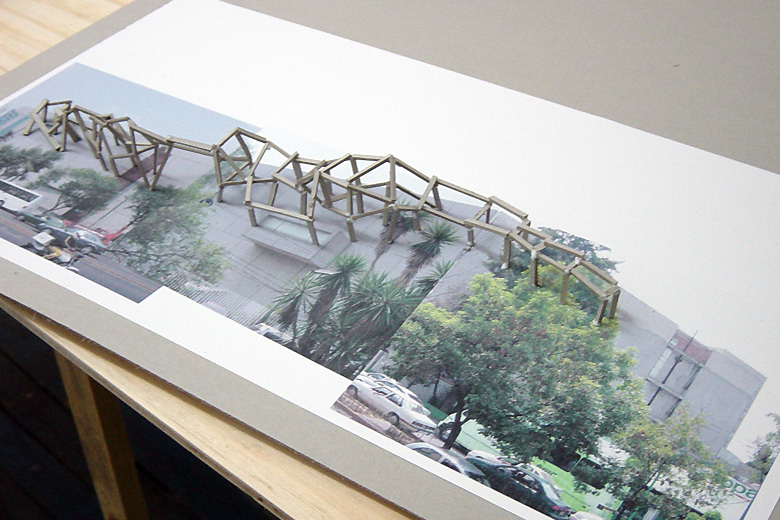 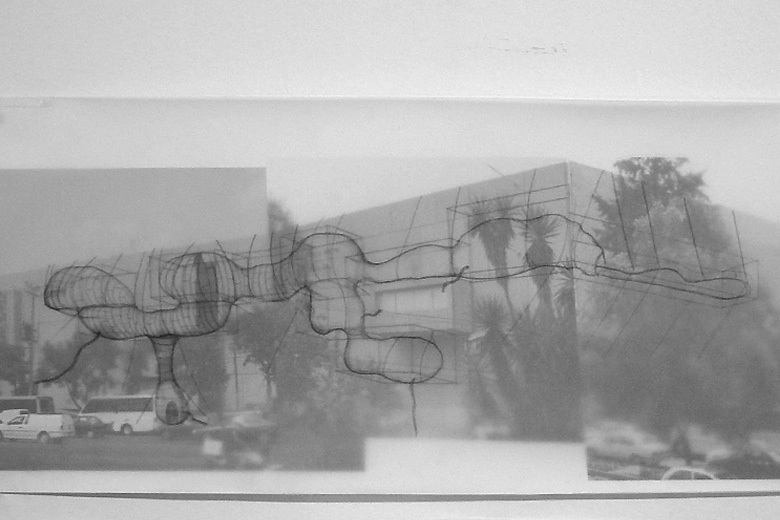 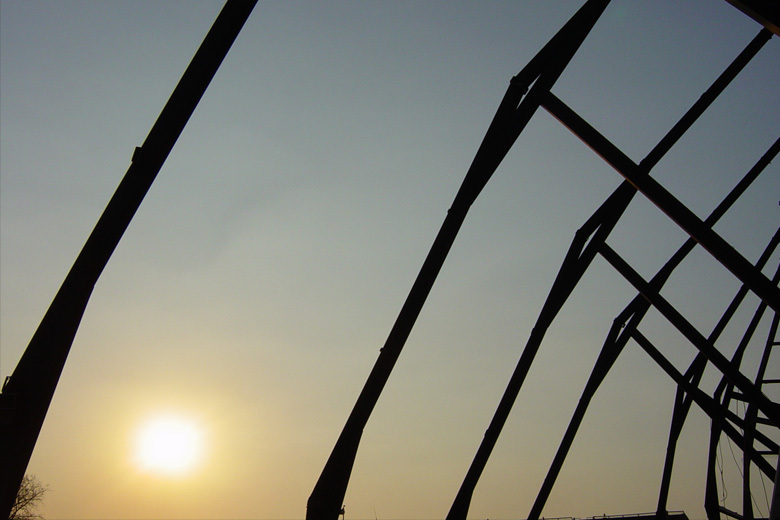 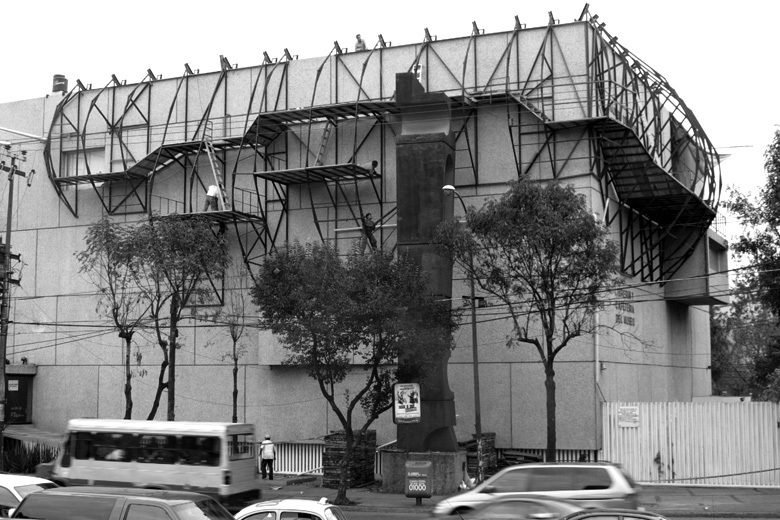 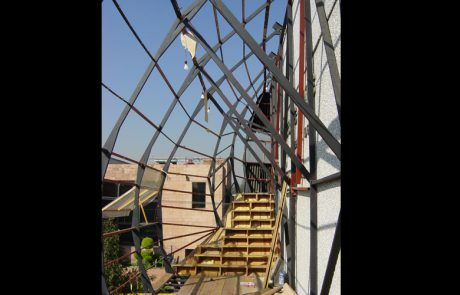 Experimental construction of art carrillo gilsÂ´s faÃ§ade. 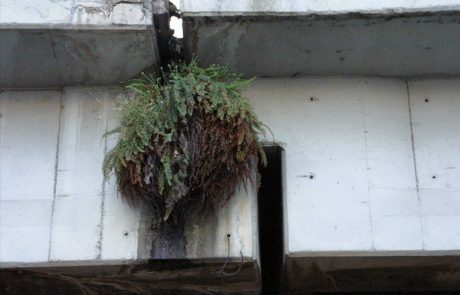 For its execution, self-construction techniques were used. 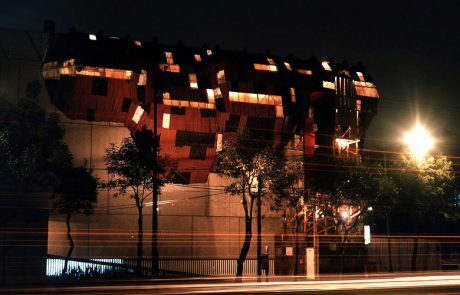 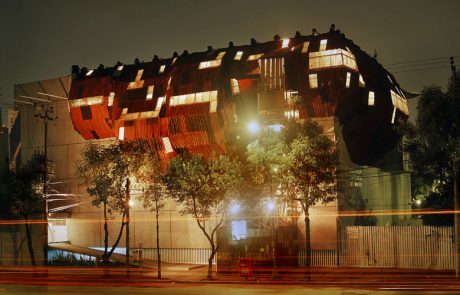 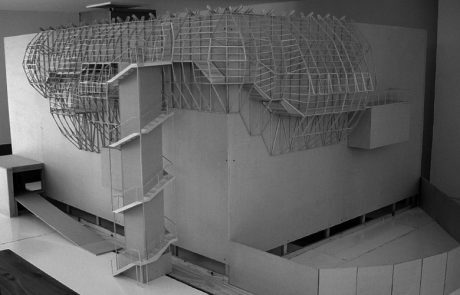 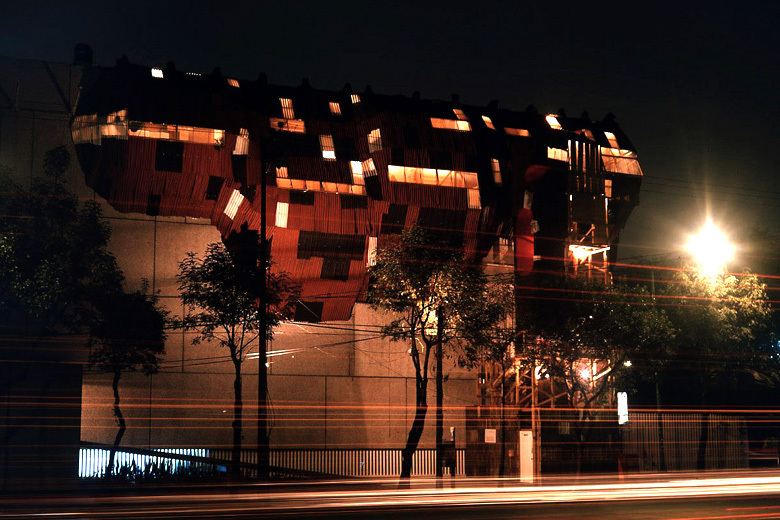 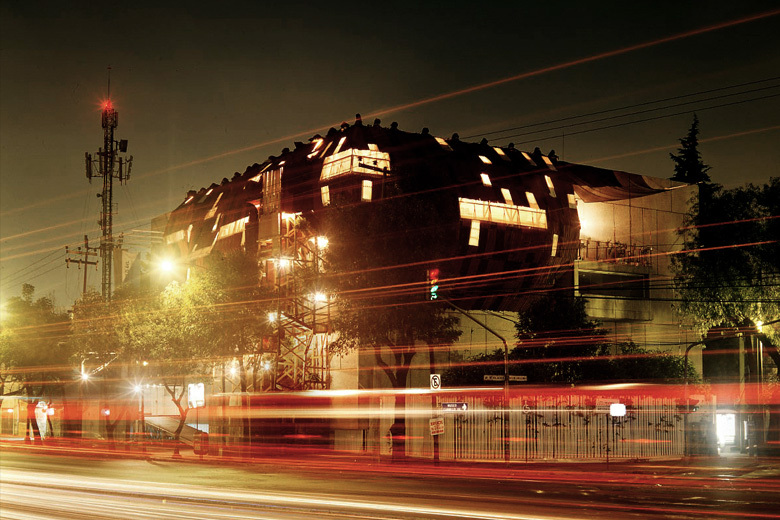 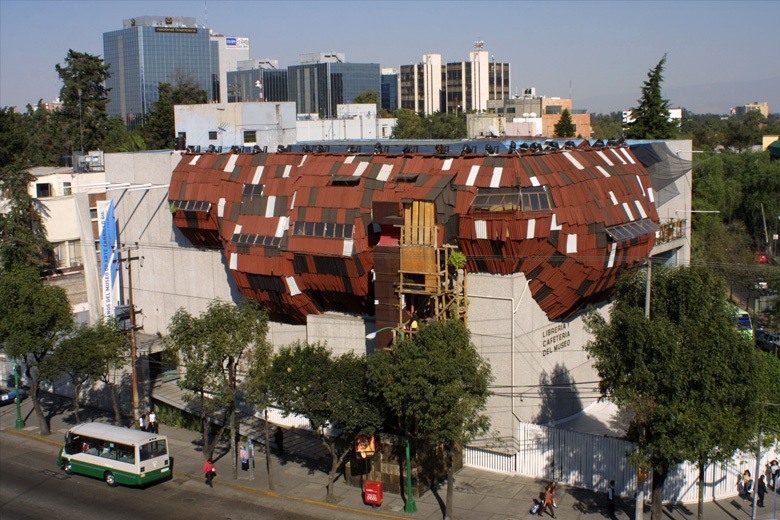 They were researched in the processes of urban population of the suburbs of mexico city and combined with a structural system that allowed it to be suspended from the top of the bulding (it was not possible for it to be fixes to the external walls of the museum). 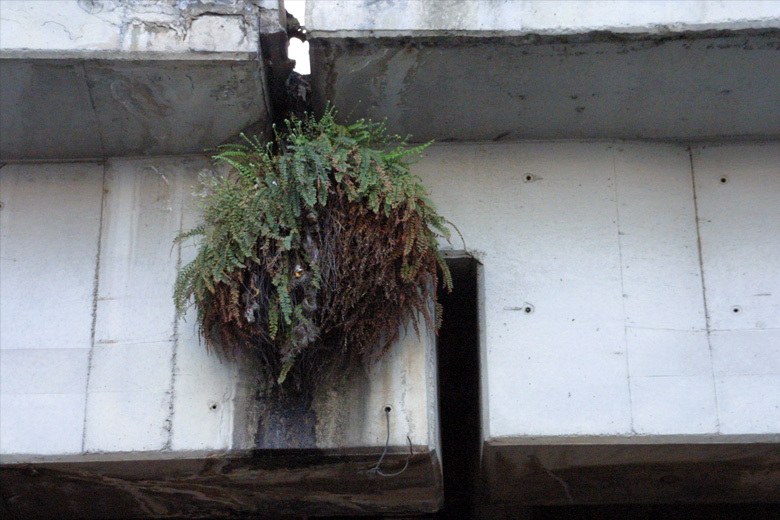 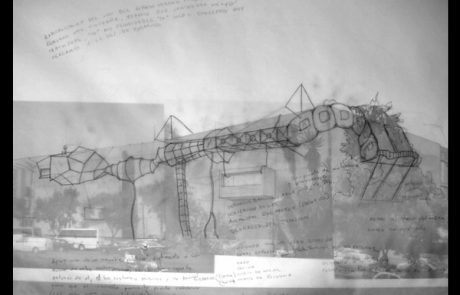 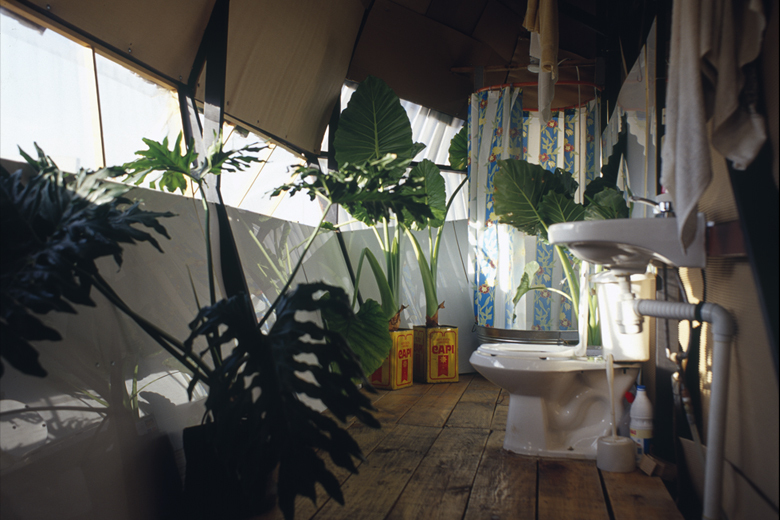 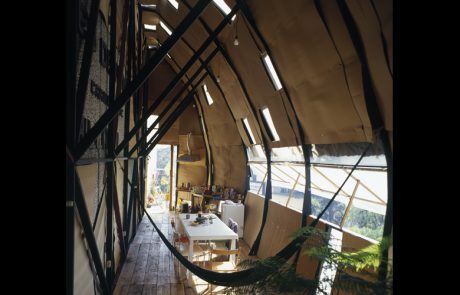 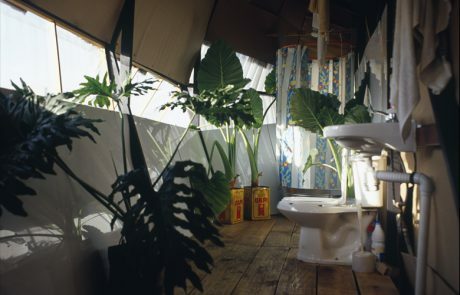 The work uses organic strategies in order to create a symbiotic, epiphyte and/ or parasite relationship with the building, the city, the institutions and/or the people. 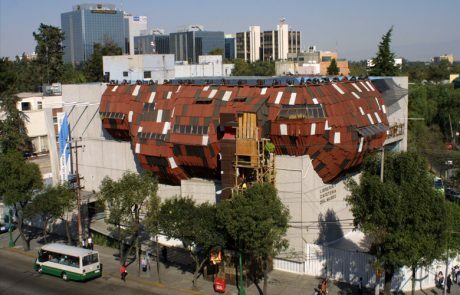 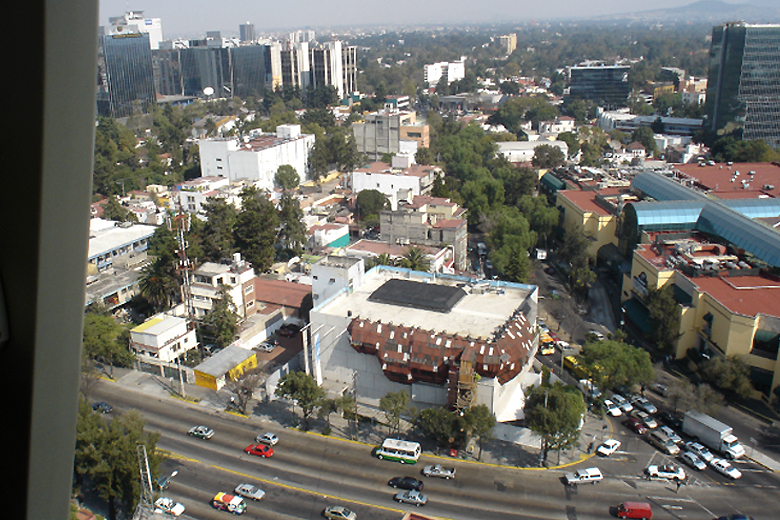 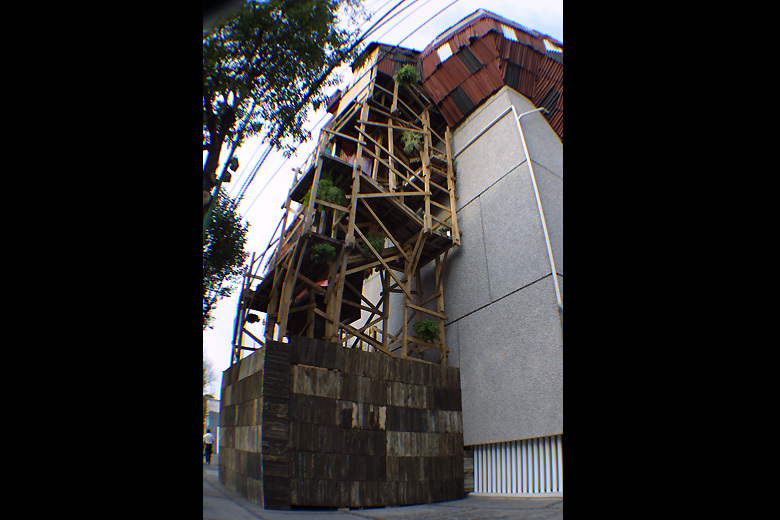 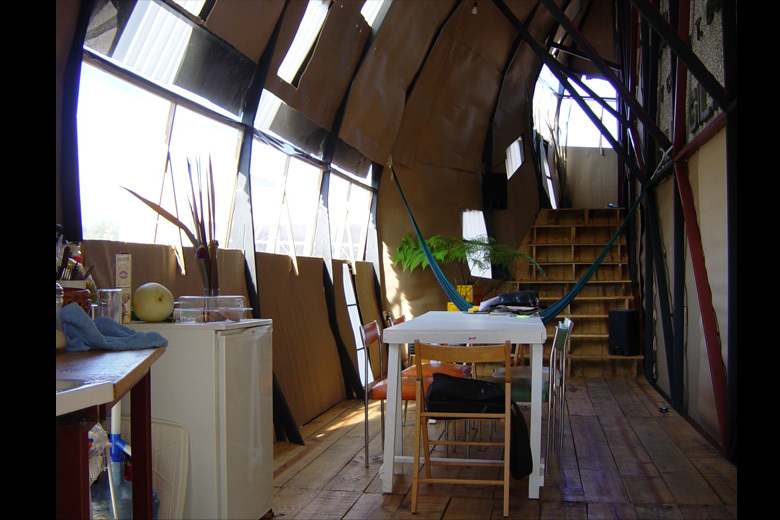 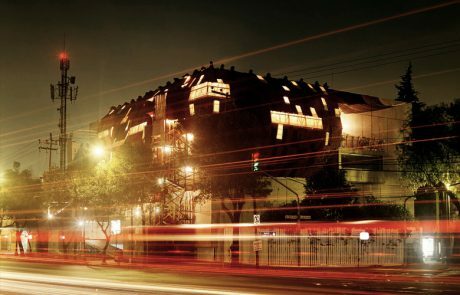 By taking possession of the public space, a new independent and autonomus address has been created ‘“ 1608 bis (bis is used in mexico when there are two addresses in same number) ‘“ wich was inhabited by the artist for 3 months. 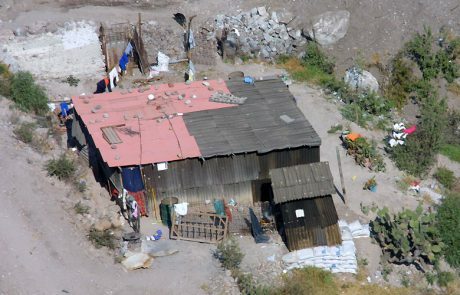 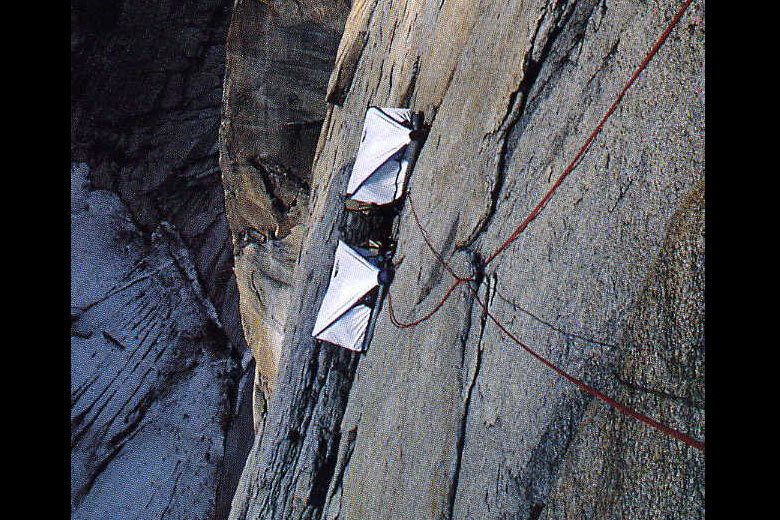 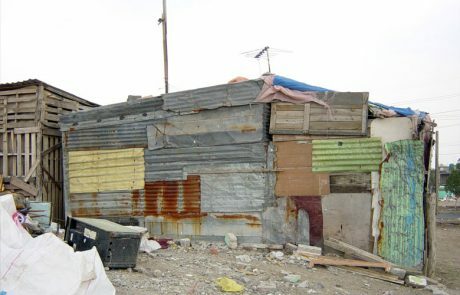 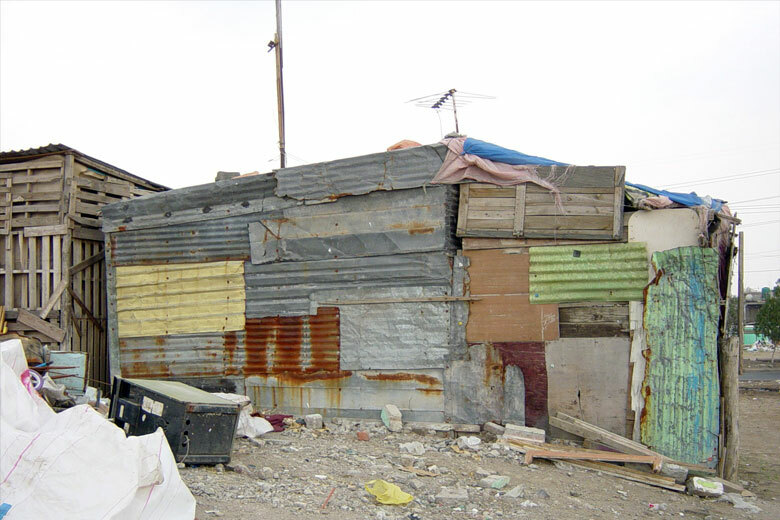 The word paracaidista, besides meaning parachutist, is the name given in mexico to people who occupy irregularly a piece of land.